Four of five leading public policy groups from across the ideological spectrum recommend raising the federal gas tax to support the Highway Trust Fund (HTF). Their proposals for addressing infrastructure investment and a wide range of other challenges facing America were sought by the Peter G. Peterson Foundation for its “Solutions Initiative III” report. On the threshold of the 2016 election season, the New York-based fiscal watchdog group also asked the five think tanks to draft a memo for the next President and Congress that present their organization’s vision and goals, and what steps policymakers need to take to achieve them. the conservative American Enterprise Institute calls for increasing the gas tax to 30 cents-per-gallon in 2016, then adjusting for inflation in subsequent years. the centrist Bipartisan Policy Center would raise the gas tax by 15 cents-per-gallon and index for inflation. the liberal Center for American Progress would raise the gas tax by an amount unspecified in the report, and then replace it with a vehicle miles traveled tax, similar to what is being tried in Oregon. the liberal Economic Policy Institute also would raise the gas tax by an amount unspecified in the report. only the conservative American Action Forum was silent about increasing the motor fuels tax, which has been remained stuck at 18.4 cents-per-gallon on gasoline and 24.4 cents-per-gallon on diesel since 1993. In its Getting Beyond Gridlock plan, ARTBA calls for increasing the gas tax by 15 cents-per-gallon, to be offset by a federal tax rebate for lower- and middle-income Americans for six years, if necessary. Congress is facing a July 31 deadline to find a long-term revenue stream for the HTF. Many states are already putting the brakes on transportation construction projects as the result of the uncertainty. 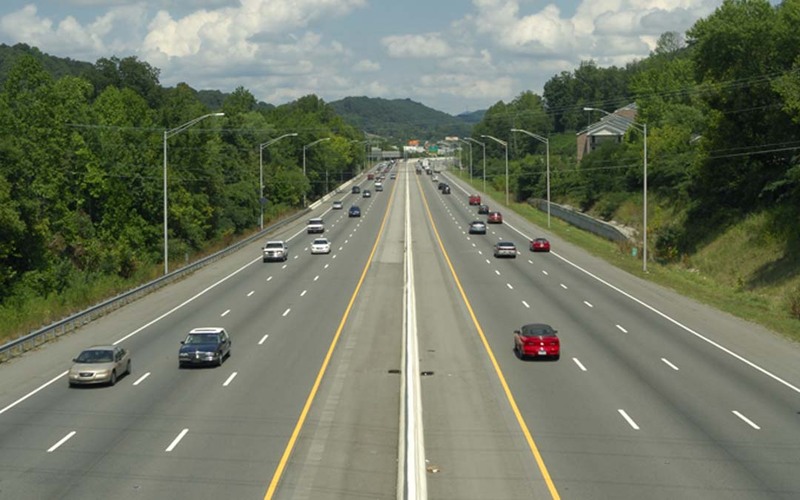 Federal funds, on average, pay for 52 percent of annual state capital outlays for highways and bridges.